Why does Essure cause problems? So it transpires that the International Consortium of Investigative Journalists have rallied journalists all over Europe to launch a co-ordinated project. They’ve spent over a year looking into all kinds of implanted medical devices, the regulation around them, how they are brought to market, and how adverse event data is collected and acted upon. The results are pretty shocking – none of the Essure group admins had heard the Orange Bag tale before. Is that really how little human life is worth? Well, stacked up against a $400bn industry, it seems so. Several of us get to tell our tales thanks to the Guardian, and one of our number is featured in a film. Not to mention tomorrow’s Panorama tackling the same issues, a Guardian podcast coming on Tuesday, tomorrow morning’s Victoria Derbyshire show – we’re busy bees! Right then, buckle up folks. Monday 24th Nov is going to be busy. Panorama on BBC1, 8pm on Monday night – The Great Medical Devices Scandal. Panorama, esteemed BBC1 investigative current affairs show, is devoting an episode towards the medical devices industry, how it’s regulated (or not!) and what happens when things go wrong… This is going to be major for Essure ladies. If they mention Essure by name (and I suspect they will), then this is going to give us so much exposure. Sadly, it may mean that a lot of ladies who have suffered health issues since having Essure fitted, and haven’t yet made the connection, will be driven to seek answers. So, if that’s you, please please find the support groups on Facebook, check out the stories here, and know that you’re not alone. To run alongside of this, The Guardian are also running a feature on medical devices which is also going to press on Monday. Add to that another of our E-Sisters will be featured on the Victoria Derbyshire show on Monday morning. We *will* be heard, and we’re not going away. Daily Mail article – our London meeting looms! 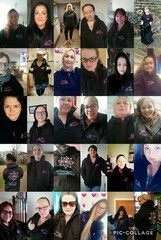 Well, we’re almost there – a dedicated band of E-sisters are off to London on Friday, to meet with Baroness Cumberledge. We’re hoping that she will agree to add Essure to her review of UK medical device legislation. To that end, Lois at the Daily Mail has published a short article today. Some of the comments are rather irritating – the suggestions that we’re in this for compensation (1, we wish! and 2, we’d be lucky), or that we’ve brought it upon ourselves somehow by “messing with nature”, but we’ll dismiss that as yer garden variety trolling. Of course we’ve tried FOI requests on figures, but the MHRA won’t release any data to us or even to the BBC who have made at least three attempts, and appealed as well. The more exposure we get, the better – because by sharing our stories like this, we hope to reach women who may not realise that Essure could be responsible for all kinds of issues. Road Trip with an agenda! In April a small delegation from the Essure facebook support groups are headed to the House of Lords to meet with Baroness Cumberlege, who is leading a review into how the NHS responds to safety concerns raised by patients about medical devices. We know that she is including the recently exposed problems with vaginal mesh, and hope to convince her that Essure should certainly be included in her review. Although the meeting itself is limited in numbers for security reasons, we’d love to see any E-sisters in the area that can meet up afterwards, so please get in touch if you’re interested. Thanks to Jan F’s daughter Leah who has created this lovely little montage video. HUGE HUGE thanks to the sponsors at Corries Solicitors for these, and to the lovely peeps at Grafix Monkey for their design input and printing. We’ve got ourselves some lovely hooded tops. They’re cracking quality and are bound to get people asking “What’s an Essure Survivor?” wherever they are worn. The first batch were sponsored by Corries, but if you missed out, contact Jan Faulkner on the Facebook support page. There’s a GoFundMe link where we’re raising a bit of cash for ladies that can’t afford to buy one, so if you can donate, please consider it. Also massive thanks to Kerry Michelle who’s running a 10 miler very soon to raise funds! An update, news, and a plea! I’ve been trying to get this site up and running for a while but in amongst losing a job, training for a new one, and my WordPress course being cancelled and having to basically wing it, well – it’s taken far too long. So my apologies to those ladies who have submitted their stories and then wondered where they disappeared off to! The problems that we’ve all suffered with Essure are, I believe, about to become big news. Basically along with the vaginal mesh scandal, and the #metoo movement, I think we’re going through something of a milieu of change for women, and we’re being heard a lot more. Some of the ladies on the Essure Facebook support group have been wildly busy, collating data, spamming the living daylights out of the media and the press, talking to solicitors, liaising with groups in other countries and generally working their socks off to get us heard. Hats off to you, girls, you’re all superstars and you know who you are. If you haven’t checked out the support group, go and do so – the link’s at the top of the page. We’re all friendly and welcoming, and we’ll do out utmost to help you if you need us. So, if you have had Essure implanted and want to know more, or you’ve had side effects and never really related it to Essure, or you have questions, please do drop us a line. WE WANT YOUR STORIES! The more of us that speak out and tell the world, the medical profession, and the manufacturers of Essure that we’ve suffered, the more chance there is of this not happening to anyone else. As of now (March 2018) Essure is still being fitted in the USA. It’s been taken off the market in Europe – not that this has stopped some hospitals fitting leftover stock. UK Essure Group Claim – at last!